Lock in a great price for Hotelletje de Veerman – rated 9.2 by recent guests! Wonderful hospitality, service & friendliness at this family-run hotel. Breakfast was delicious and very generous. Would love to return here some time. Nice modern room with balcony with seaview. 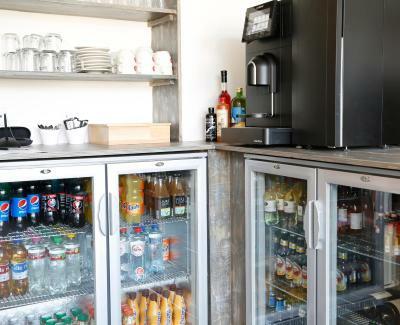 Drinks available, Nice breakfast, quiet at night. The location and my room at the second floor provoked a feeling of being at sea, not in a boat of course, but in a comfortable warm room. A wonderful experience. The super-friendly staff made sure I felt welcome. The room was very comfortable, cosy and quiet. All tastefully designed and sparkling clean. Breakfast (extra) was generous, and the staff encouraged me to pack some for later. A short walk from the ferry dock, and your luggage will be transported for you if you choose. I reluctantly had to leave - only because there was no available room after I had already extended my stay. Great sea view from room 5. Comfortable bed (mattress was not too soft). The delicious, generous breakfast was served with humor and fun :-) Thanks for a memorable overnight! Next time we'll stay longer! Everything was more than good as for the hotel: it was n't the first time I stayed there and I know the people who run it and I always felt at home with them. Great location and view, super friendly staff, comfortable beds and great breakfast. Any left overs from breakfast can be taken away for lunch! Definitely recommend this hotel to anyone staying on the island! The breakfast was great. The owners were very helpfully and friendly. The location was fantastic, it is at the most quiet area. The facilities were good. The view was fantastic and it is very easy to access to the dune area for a walk. We love it. 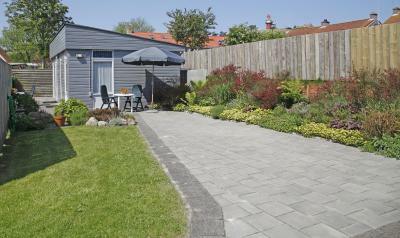 This place was very clean and cozy, with nice sea view( waddenzee) and perfect location close to ferry as well as nature and northsea. The breakfast was amazing with variety of choices. Hotelletje de Veerman This rating is a reflection of how the property compares to the industry standard when it comes to price, facilities and services available. It's based on a self-evaluation by the property. Use this rating to help choose your stay! 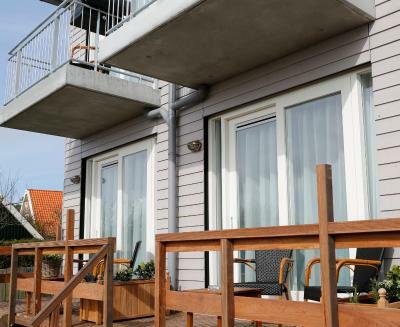 Hotelletje de Veerman is quietly located on the island of Vlieland. It is located at the end of the Dorpsstraat, right under the lighthouse. The hotel rooms and studios are nicely decorated. Each room has box-spring beds and a TV. The hotel has a terrace where you can sit when weather is nice. Furthermore there is a small garden and a library with books. Free Wi-Fi is available if you want to keep in touch with friends and family. From the landing point of the ferry-boat connecting Vlieland with the mainland, it takes a 6-minute walk to Hotelletje de Veerman. 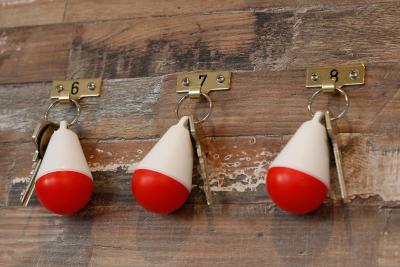 When would you like to stay at Hotelletje de Veerman? This studio includes a private terrace and is located just below the lighthouse. Located on the first and second floor, these rooms offer views over the light house and the east side of the village. The rooms offer a balcony, a seating area, a flat-screen TV and a private bathroom. 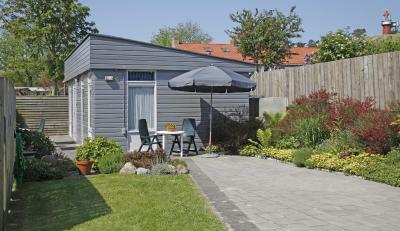 These rooms offer wide views of the Vlieland scenery, they come with flat-screen TV, box-spring beds and a seating area. 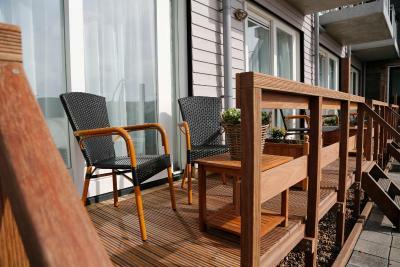 This new room are located on the ground floor and have their own terrace. The room has a view of the garden and of the Waddendijk. This double room features a seating area, desk and a flat screen TV. The beds are boxsprings. House Rules Hotelletje de Veerman takes special requests – add in the next step! All children under 6 years are charged EUR 17.50 per night for extra beds. ATM card Hotelletje de Veerman accepts these cards and reserves the right to temporarily hold an amount prior to arrival. 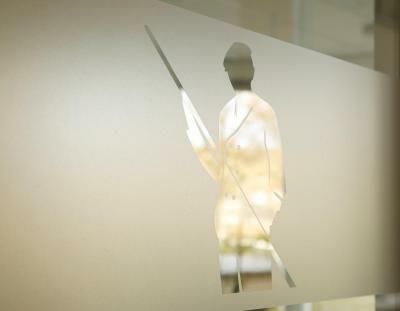 Hotelletje de Veerman accepts these cards and reserves the right to temporarily hold an amount prior to arrival. Nothing. The holiday was to short. Very good and nice staff. Very good breakfast. The check in starts quite late, comparing to my experience of travelling elsewhere and check out hours are rather early. Though it is a case in every hotel, that I looked up in Vlieland. The room was very cosy and clean, I liked wooden elements in the interior, renovated shower. Sea view added to overall nice experience. The staff was welcoming and helpful. Some of the materials in our room (like the imitation wood) felt a bit "cheap"...but everything else was absolutely perfect!! I had to cancel for one person, who could not come with me at the last moment, so I stayed there for only one night and since there was no refund or anything it made an expensive night for me....but this had nothing to do with the hotel-management, since I booked through Booking com. I could not think of anything to improve. Maybe an extra trash bin in the room over the small one in the toilet would be great; the bathroom was without any heating and then cold. 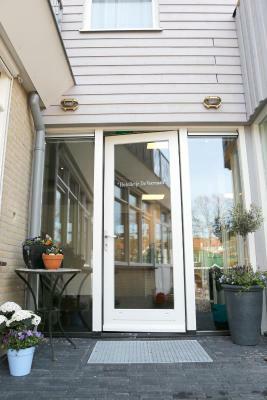 Really wide and clean room with a comfy bed, great position, discreet and friendly staff.